The George stands over in the heart of Christchurch, New Zealand. The hotel is a short 20-minute ride from Christchurch International Airport. 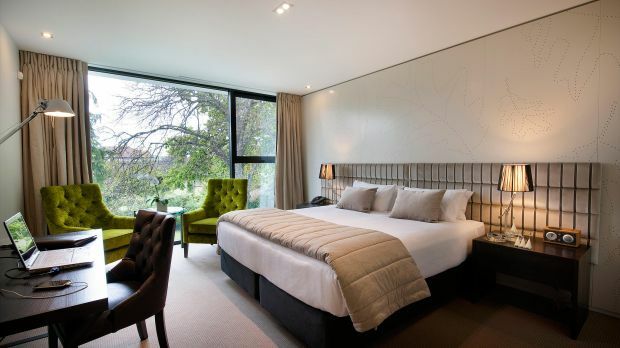 The George hotel in Christchurch, New Zealand breathes new life into what a modern design hotel can be. 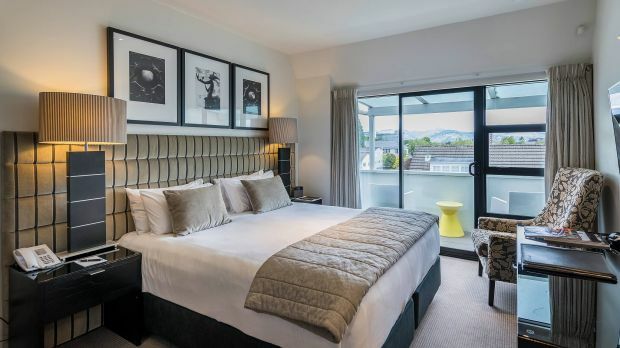 The George goes out of its way to fill your stay in Christchurch with luxury and heart. The decor centers on the natural side of modern design - rich woods, creamy tones, and organic fabrics. Smart elegance radiates throughout the 53 guestrooms with gas fireplaces, fresh flowers, and computer ports beside the bed and desk. The large spa bath wakes you up with double showerheads and warms you up with heated floors. The hotel offers many tangible perks like free gym access and mountain bikes for exploring New Zealand's scenery. But the George's biggest draw is its sense of place. They take every opportunity to minimize their environmental impact, support numerous charities through donations and volunteerism, and reach out to the local community first. And then there's George Bear, the hotel mascot. This adorable stuffed bear has made his way around the world and has a blog to prove it. He'd be the first to tell you that The George is one of the most celebrated hotels in the world. Send an availability request with your requested dates to the The George Christchurch. Room with 1 King bed or 2 Twin beds, desk, TV, minibar and 24-hour room service. Room with 1 King or 2 Twin beds and an en-suite bathroom with heated floor and mirrors. 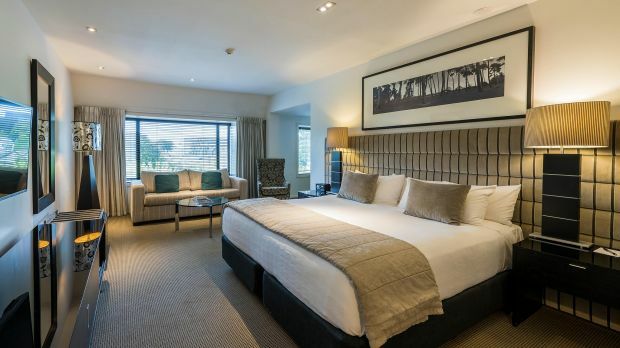 Junior Suite with 1 King bed, bathroom with heated floor and mirrors and a sitting room. Features separate living area, spa bath, Wi-Fi Internet, park view and air conditioning.